While the U.S. taxpayer was involuntarily shoveling over $2 trillion in bailout funds and loans into Citigroup from 2008 to 2010, the bank was committing at least one admitted felony on its foreign currency trading desk. And if ongoing testimony in a London court is to be believed, the U.S. Justice Department could have brought charges against individuals instead of settling its case for one single felony charge against the banking unit only. Citigroup’s banking unit, Citicorp, along with three other global banks (JPMorgan Chase, Barclays and RBS) admitted to a felony charge of rigging the foreign currency market brought by the U.S. Justice Department on May 20. Approximately $5 trillion in foreign currency trades are made globally each day, with billions of dollars to be made through advance knowledge of where prices will be fixed. Last Wednesday, the same day that the U.S. Justice Department unveiled a new plan to go after individuals in banking fraud cases instead of just settling with banks for large sums of money and a promise to behave, Perry Stimpson was telling a London court how foreign currency rigging was endemic at Citigroup and the culture of cheating was passed down by his bosses, one of whom pressured him to participate in a chat room and share information with other banks. Stimpson was also doing something in the courtroom that the U.S. Justice Department has failed to do – he was naming names inside the bank. Stimpson is a former foreign currency trader at Citigroup who was fired during the global investigations into a cartel of banks rigging foreign currency trading to boost their profits. He is suing Citigroup in an employment claim for unfair dismissal. At least three other Citigroup currency traders are expected to bring similar claims in court. 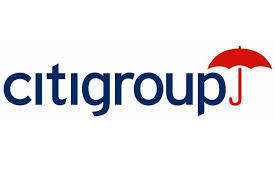 Citigroup has paid a total of $2.29 billion to resolve the allegations with U.S. and U.K. regulators. 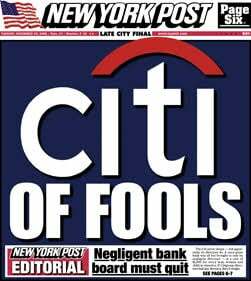 According to the felony charge brought by the U.S. Justice Department – which Citigroup admitted to — Citigroup’s illegal behavior in the foreign currency rigging matter spanned a period from December 2007 through January 2013 – that would include the period after 2008 when Citigroup was alive only because of the largest bank bailout by the taxpayer in U.S. history. Cumulatively, Citigroup received $45 billion in TARP funds, over $300 billion in asset guarantees, and more than $2.5 trillion in below-market rate loans from the Federal Reserve. According to the Government Accountability Office (GAO-11-696), in just one bailout program alone, the Primary Dealer Credit Facility (PDCF), Citigroup cumulatively borrowed over $1.75 trillion from March 16, 2008 to February 1, 2010. The U.S. Treasury sold its last bailout era holdings in Citigroup in December 2010. To put it simply, Citigroup was using public funds while it committed its foreign currency felony – to which it admitted guilt in May of this year.